Living with back pain can be very difficult, despite how often it occurs in adults of all ages. 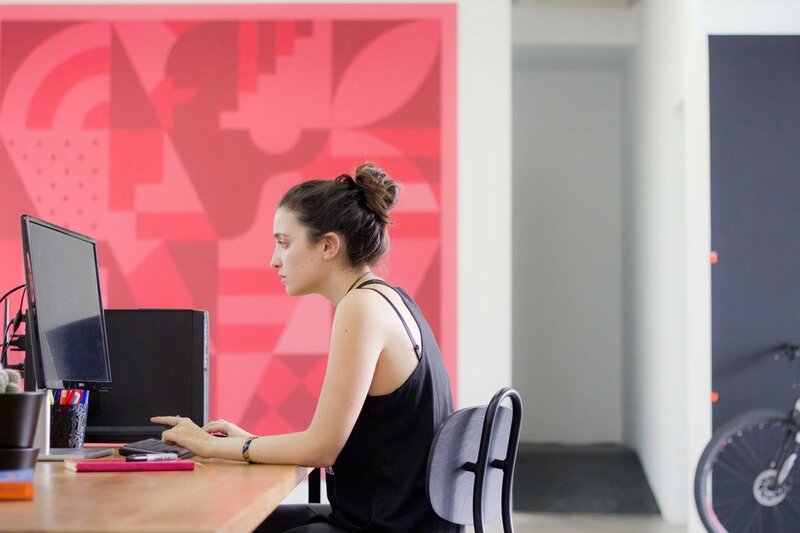 Issues with your back can leave you unable to work or pursue your hobbies, as well as making everyday tasks very painful or impossible to complete. To seek relief from common back problems, spinal decompression has become a very popular treatment option. Spinal Decompression Therapy in Chicago can either be a surgical or non-surgical treatment, with some key differences in the procedure, recovery times, and results between the two. 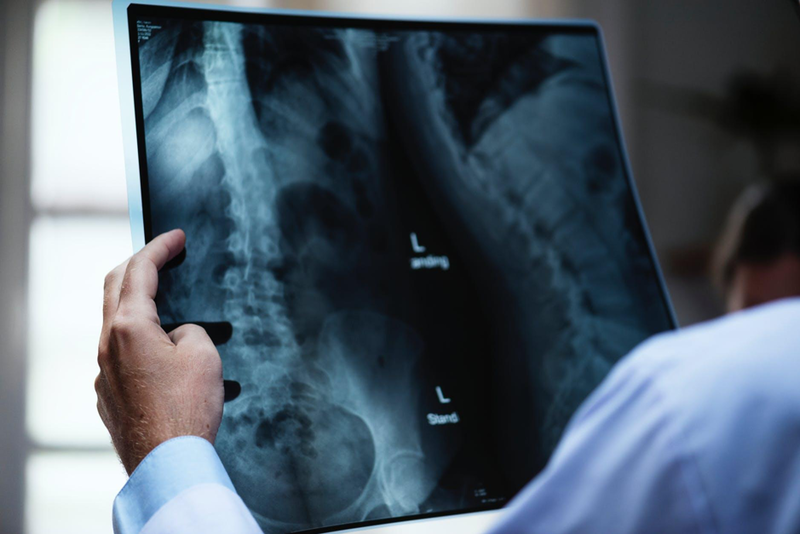 If you or a loved one is experiencing persistent or chronic back pain, then read on to learn everything you need to know about the differences between surgical and non-surgical spinal decompression therapy, conditions the therapy can treat, and who the ideal candidates are. Spinal decompression therapy has the primary goal of reducing or eliminating pain that’s associated with compression on the spine. The spine is comprised of 24 vertebrae, which are small bones that are stacked to create the spinal column. Between each of these vertebrae is a disc, which is formed from tissue and provides a cushioning effect when you move. When a person experiences a compression-related problem on the spine, it can cause serious and prolonged pain in the back. In the majority of cases, the focus of spinal decompression will be to relieve pressure on the spinal discs, which in turn can reduce pressure on the nerves in the lower spine – a common cause of back pain, stiffness, and even cognitive problems. By achieving a reduction in pressure, pain in the back can be reduced, circulation enhanced, and function of the spine restored, improving quality of life. Depending on the decision to pursue surgical or non-surgical spinal decompression, the procedure for decompression will vary greatly. For non-surgical treatment, relief from back pain is generally achieved through the use of a spinal decompression system, and the treatment can be performed by a trained chiropractor. Spinal decompression systems use motorized traction tables to reduce pressure on the spine by stretching and releasing the spine and separating the joints and bones in the back, as well as the discs. The capabilities of spinal traction include the ability to change the position of the disc material and retract it, reducing pain and promoting healing in the process. The computerized system gives the chiropractor the ability to make careful adjustments to traction angle and force, to achieve negative pressure. Laminectomy – During a laminectomy, a small portion of bone in the vertebra is removed, which reduces pressure by increasing the spinal canal size. Discectomy – During a discectomy, damaged discs are removed to reduce pain, this can be achieved through a standard discectomy procedure, or via a microdiscectomy, which is less invasive. Spinal Fusion – Occasionally a spinal fusion may be required. The purpose of a spinal fusion is to stabilize the spine by joining two or more vertebra together. What Does It Do for the Spine and Overall Health? Perhaps the biggest benefit of spinal decompression is the relief it can bring to people who are suffering from back pain. By relieving pressure on the spine, a considerable or complete reduction of pain can sometimes be achieved. Instead of suffering from severe back pain, patients can return to living a pain-free lifestyle and enjoy their hobbies; this can improve both physical and mental health. Spinal decompression can also improve the health of the spine. Improved circulation is a key benefit of spinal decompression; without pressure, it’s possible for oxygen, water, and nutrients to move freely in the spine, promoting healing in the discs as they begin to re-hydrate, and maintaining good spine function. With rehabilitation treatment after spinal decompression therapy, patients can enjoy a greater level of mobility, strengthen the spine and muscles, and gain more flexibility. Non-surgical therapy is often the first form of spinal decompression treatment advised for patients suffering from compression on the spine. 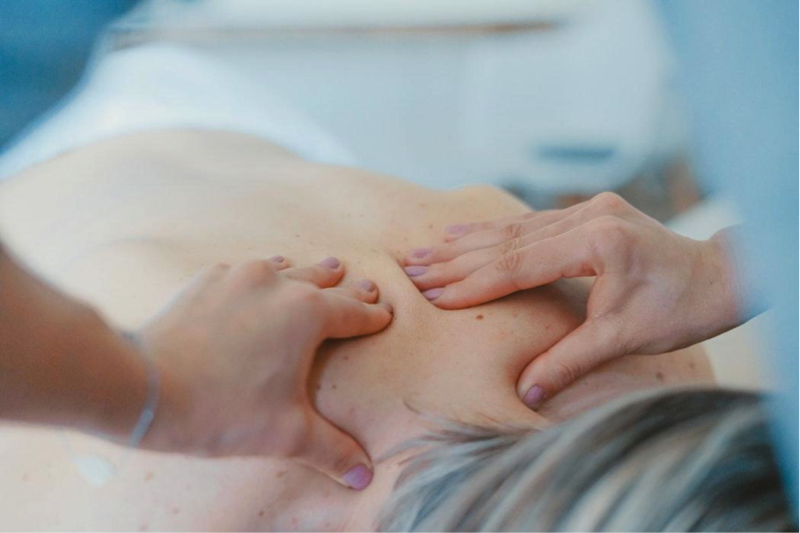 Unlike surgical treatment, non-surgical spinal decompression is non-invasive, there’s no recovery time, and the treatment can be performed in the comfort of your local chiropractor clinic. Non-surgical treatments will likely need to be ongoing for a period of around 2 months, with a number of treatments scheduled during that time. Your progress will be monitored by your chiropractor to determine how long treatments will need to continue for. Each treatment should last no more than an hour, with sessions commonly being around 45 minutes long. During a non-surgical spinal decompression treatment session in Chicago, you’ll be positioned on the computerized traction table, and fitted carefully with a harness. As the session begins, your spine will be gently stretched to begin relieving the pressure. Surgical decompression therapy is almost the opposite of non-surgical treatment, in that it’s invasive, must be performed by a surgeon, and can have a long recovery time of up to around 6 weeks. Due to this, surgical treatment is normally only suggested as a last resort for spinal compression problems, after alternative treatments have not had the desired effect, or when the problems are very severe, and surgery is the only option. 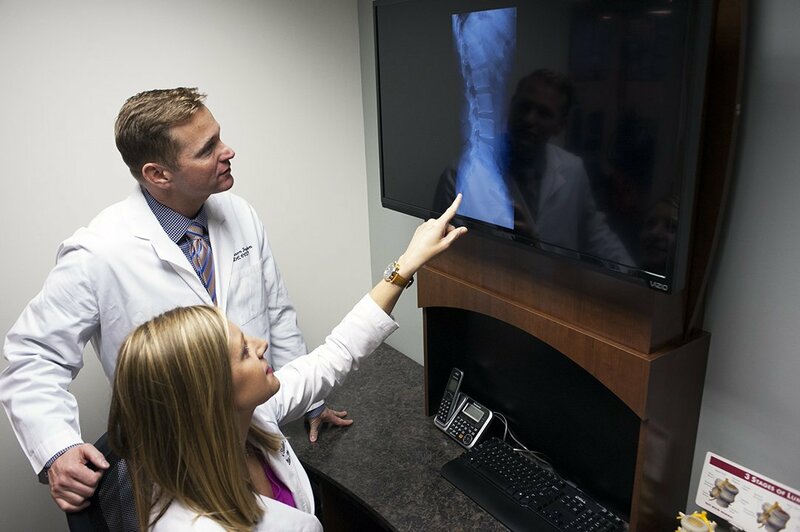 Instead of adjusting the discs in your spine to relieve pressure, most surgical spinal decompression treatments are directed towards removal in order to achieve a reduction in pressure. Often in cases of severe nerve compression, surgery can be an effective option, although like any surgical treatment, there are some risks, such as infection, damage to the spinal cord, and blood clots. Another option for alleviating spinal pressure is spinal decompression exercises. These exercises can often be completed at home, independently, or as part of a treatment plan established by your chiropractor. It’s always best to consult a professional before beginning spinal decompression exercises, to be sure that the exercises you use will be beneficial to your spinal health. Spinal decompression exercises take on many forms, such as the back arch, where you lay on your back and hold your knees to your chest; and the child’s pose, where you move from a resting position on your knees, place your arms outstretched along your side, and bring your head slowly to the floor before pulling your body forwards. Completing these exercises can help to stretch the spine and gain relief from pressure. Who Are the Ideal Candidates for Spinal Decompression Therapy in Chicago? The ideal candidate for spinal decompression therapy in Chicago is anyone in the Chicagoland area who is suffering from a bulging or herniated disc, or degenerative disc disease. Other common problems, such as back pain, spinal stenosis, and sciatica are also often treated with spinal decompression therapy. In some rare cases, such as where the patient also has a fracture, spine implants, or tumors, non-surgical decompression won’t be advised. The treatment also isn’t suitable during pregnancy. If you’re experiencing severe back pain, numbness, or weakness, then having a professional examination to diagnose the problem should be a top priority. Getting your condition diagnosed and beginning treatment as soon as possible will help to lessen pain and start your recovery. Sciatic nerve pain or sciatica, is an incredibly common type of pain that experts estimate 40% of people experience at some point in their lives. This pain can be very disabling and leave one of your legs feeling weak or numb, possibly with a burning or stabbing sensation. If you have sciatic nerve pain or you think that you may be experiencing the symptoms of sciatica, then seeking treatment is one of the best things that you can do to relieve the pain sooner rather than later. Sciatica is the name of a specific type of pain that you experience when there’s irritation to the sciatic nerve. The sciatic nerve is located between the hips and feet and runs down the back of each leg. The location of the nerve explains why the symptoms of sciatica can involve experiencing pain in the lower back, hips, and leg. The symptoms of sciatic nerve pain normally only occur on one side of the body, but the experience is very different from case to case. For some people, the pain will only last for a short duration (typically 4-6 weeks) and it will only cause slight irritation. For other people, the pain will last for much longer and can be quite severe. Sometimes, other back injuries may also cause sciatic nerve pain. While not generally a cause, the pain experienced can be worse for people that are overweight or accentuated by additional problems, such as inadequate sleeping provisions. As you would imagine from the many possible sciatic nerve pain causes, there are a number of treatment options. The treatment advised will largely depend on the severity of the pain and root cause, although in certain cases, like with chiropractic care, some treatments can help with multiple severities of sciatica. At-home treatments can be very effective in treating short-term sciatic nerve pain, as well helping with the recovery process in conjunction with other treatments. Treatments and care at home can include stretching the back regularly, using heat and ice packs, and gentle exercises. If at-home treatments don’t help to reduce the pain, more substantial treatment is often advised. In many cases, an over-the-counter pain medication may be suggested to alleviate the pain. This can work in conjunction with at-home treatment to cope with the pain until it subsides. In the worst cases of sciatic nerve pain, where the pain is severe and prolonged, surgery may be an unavoidable requirement to treat the underlying cause of the pain. Surgical treatments vary but can include decompression or intervertebral disc removal. Each type of treatment has its own benefits, and in some cases, options like surgery may be unavoidable. Yet, for persistent sciatic nerve pain, the best sciatica treatment is often physiotherapy. In particular, chiropractic care is a highly effective physiotherapy treatment for sciatica. A chiropractor can help at every stage of treatment, from the initial diagnosis, to relief from pain by targeting the cause of the pain, and afterwards with preventive advice. In general, chiropractic treatment is immensely well-suited to treating sciatica, as it’s focused on helping the body to heal itself through treatments that improve spinal movement. Chiropractic care is ideal for anyone seeking the best natural treatment for sciatic nerve pain, as it involves non-invasive procedures. The treatment plan will be customized to your exact needs and lifestyle, and you’ll receive ongoing support from a chiropractor that knows your unique medical history. As is the case with many types of back pain, and pain in other areas of the body, chiropractic care is often an effective and rewarding treatment for sciatica. If you’re looking for chiropractic sciatica treatment in Chicago, then the experienced chiropractors at Advanced Spine & Sports Care can help. Our specialist chiropractic and physical therapy services are a natural treatment for sciatic nerve pain that can effectively reduce the pain you’re feeling and address the real cause of the problem. Contact us today to talk with one of our excellent team about treatments for sciatica. We’ll make sure that your pain is diagnosed and treated. Also, we will support you going forwards for a healthier life now and in the future! Instances of chronic lower back pain in America are on the rise. It’s estimated that 8 in 10 Americans will have first-hand experience with back pain. With 80% of Americans expected to experience the disabling consequences of back pain, it couldn’t be more important to understand where the best place to turn is if such a problem should occur. Two of the most popular treatment options for chronic, and sometimes moderate, back pain are chiropractic care and surgery. The treatment options are at two different ends of the spectrum of pain relief, with chiropractic care being non-invasive and surgery often being very invasive. However, in many instances, they both offer the same promise of less pain and potentially a permanent or long-term solution to back pain. But which one is the best option for lower back pain? Understanding the cause of lower back pain is one of the best ways to determine which treatment type will be the most effective: surgery or chiropractic care. Different injuries can lead to short-term lower back pain, which may only last for a period of a few weeks to a few months, or chronic back pain which can last considerably longer. 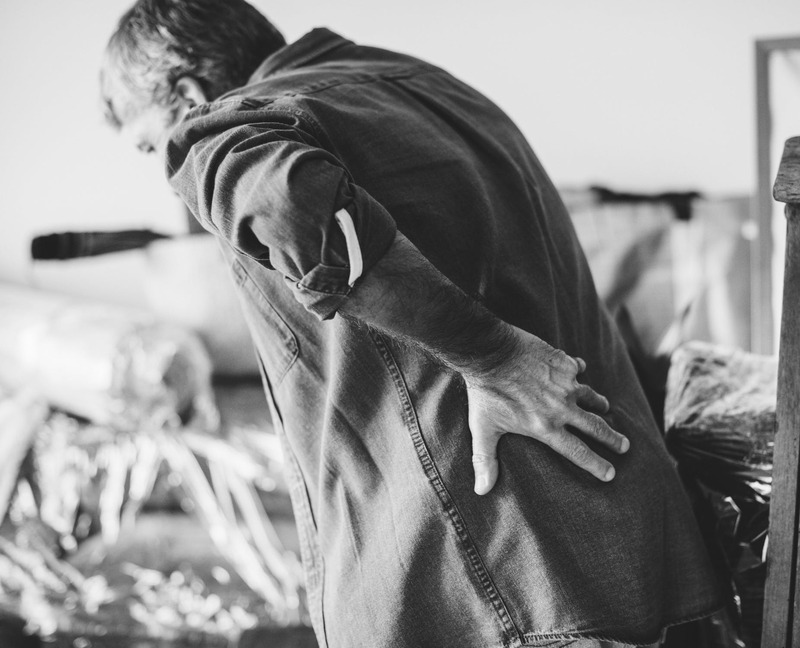 It’s commonly the case that a sprain or a strain, caused by a sudden movement, heavy lifting or prolonged poor posture, is the underlying cause of short-term back pain. The damage to the muscles and ligaments in the back can be incredibly painful, but the pain is unlikely to last for more than a few months. Long-term or chronic lower back pain is often brought about by a more severe injury, and as such, the pain can be more severe and much longer lasting, sometimes requiring more to heal than just time. The injury could cause a fracture, deformity, joint dysfunction or a disc problem, amongst many other underlying issues that can bring about lower back pain. Depending on the injury, the treatment required to alleviate the pain, and potentially heal the injury completely, will change; but who should you turn to first, a chiropractor or a surgeon? There are many different types of surgical treatment available to treat all manner of lower back pain injuries. Depending on the injury that caused the lower back pain, and the advised surgical treatment, the procedure could be slightly invasive or very invasive; this can impact the recovery time after surgery. Common lower back surgeries include disc replacement and decompression. One of the main benefits of surgical treatment is that function can often be restored when ability is severely limited due to the back pain. However, back surgery is not normally advised if the pain felt in the lower back is only moderate or if there are no visible indications of the cause of the pain. Chiropractic treatment is very different to surgical treatment, initially in the fact that chiropractic care is non-invasive. The option of chiropractic treatment is also available for people with minor or moderate lower back pain, as well as those with long-term chronic back pain. During a visit to a chiropractor, the pain in the lower back will be diagnosed and a specialized treatment plan will be formed that’ll help to determine the best way to relieve the pain. Unlike surgery, a chiropractic treatment plan will involve treatment that is ongoing in order to target the root cause of the problem causing the pain. Chiropractic Treatment vs Back Surgery: Which Is Best? When it comes to chiropractic treatment vs back surgery in Chicago, it’s difficult to determine which treatment option will be best, as both options are very different. However, in many cases, there’s a best treatment option to start with, and for a large number of people, it’s chiropractic care. Chiropractic care can help to treat the underlining cause of lower back pain in many people, often without the further requirement to have invasive surgical treatment afterwards. As surgery is often deemed to be a last resort treatment, in part due to the longer recovery times and invasive procedures, chiropractic treatment can be the best place to start for a fast and healthy recovery. In cases where chiropractic treatments are not effective after a pre-established treatment course, surgical alternatives can still be considered to provide a different solution to treating the condition. Any uncertainties over the best treatment to alleviate pain in the lower back can often be cleared up via a consultation and examination with one of the professional chiropractors at Advanced Spine & Sports Care. If chiropractic treatment is a viable option to reduce or eliminate back pain, then your local Chicago chiropractor will be able form a personalized treatment plan for you and help you to find the best way to reduce lower back pain and restore a full range of motion. Athletic performance can be improved in a number of ways, from following a proper training regime to eating the right foods at the right times. The overall health of your body, as an athlete, will impact your performance, define your endurance, and improve your recovery times, but how can you make sure that your body is as healthy as it can be? One way to make sure that your body is in peak condition to improve your athletic performance and excel at what you love is to visit a chiropractor. Sport Chiropractic care is a before and after treatment that can prepare your body to excel and help it to recover once you’ve put it through its paces. 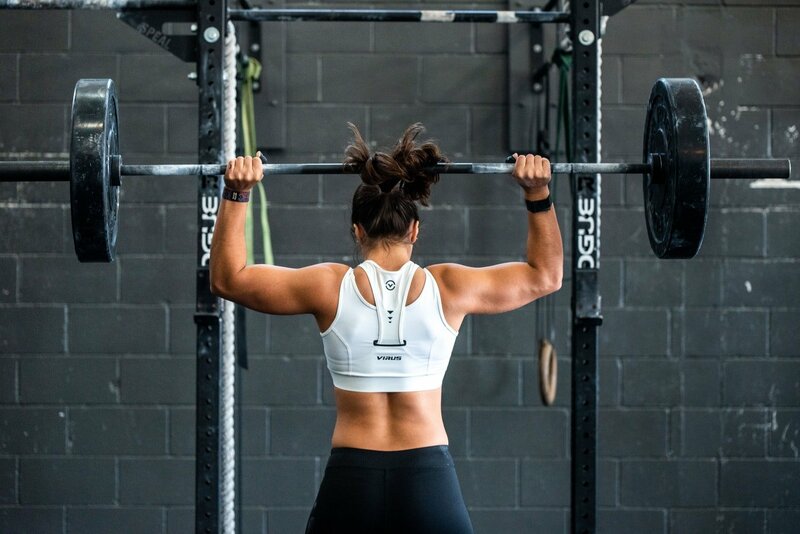 Sports Chiropractic Care is not just something that’s helpful after an injury or before a competition; they are a range of treatments that can help to reduce the risk of sustaining an injury when you’re working out, competing, or just doing what you love. By creating a treatment program with your chiropractor, you can help to target those areas that are most susceptible to injury, based on your medical history, your exercise regime, and your current level of athletic performance. Chiropractic care for athletes is a personalized physical treatment that’s designed to prepare and improve your body by targeting areas like muscles and joints. Injury prevention is an important part of chiropractic care, helping you to train more and test your limits with a lower risk of injury. Not only can this improve your performance, but there are other aspects of chiropractic care that can help as well. The different chiropractic treatments can help you to further your range of motion, enhance your flexibility, and increase your overall strength. During a chiropractic treatment program, the entire function of your body will be examined, leaving no stone unturned and no injury unnoticed. If your body is under any stress that’s limiting your athletic performance, a Sports Chiropractor can help! Ongoing pain is not conducive to a relaxing recovery. Chiropractic care targets the pain at the source, using treatment that’s directly targeted at eliminating the main problem, not just the symptoms of the problem. The treatments available can help with a vast range of sports injuries and symptoms in an effective way, no matter the exact injury that you’ve sustained. Through spinal decompression therapy , Chiropractic adjustments, professional massage, and the other highly beneficial chiropractic treatments, the pressure of your injury can be released and the pain relieved. From back pain and neck pain to headaches, Chiropractic treatments can be used to treat all manner of injuries and problems effectively, but not only does the treatment help to solve ailments, it can also reduce the recovery time after sports injuries. Many Chiropractic treatments revolve around the nervous system, which plays a large role in recovery after an injury. If you’ve been injured, your chiropractor will make sure that your nerve signals are operating properly, your muscles are relaxed, and your blood is circulating correctly. Chiropractic care for sports injuries is one of the best low-risk treatments to complement other medical treatment, speed-up your recovery, and reduce pain. One of the biggest benefits of Sports Chiropractic care is that it’s a medication-free option for treating a vast range of injuries that can impact athletic performance. This all-natural approach to healing reduces reliance on pain-relief and medications that can cause adverse effects. Chiropractic care is also non-invasive, so puts less strain on your body. The results of treatments are often noticeable quickly and the lasting effects will benefit your performance for a long time to come. When you’re ready to take your love of athletics to the next level, visiting a Sports Chiropractor certified in Physical Therapy, should be your next move. Feeling the strain after a work-out? 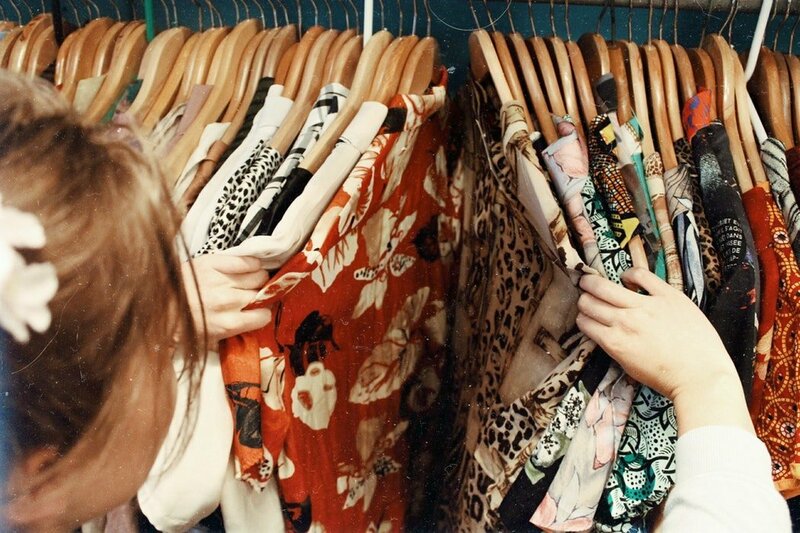 Worried that you’re not ready to compete? Want non-invasive treatment for your aches and pains? 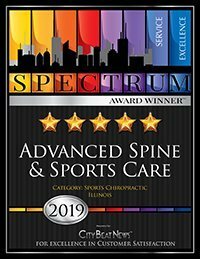 Advanced Spine & Sports Care in Chicago, IL is the answer! Advanced Spine & Sports Care is a specialist chiropractic care center that offers all the alternative health treatments that you need to keep your body healthy, boost your performance, and recover from injuries as quickly and safely as possible. If you live in the Chicagoland area, then you’re in luck when it comes to getting access to the best Sports Chiropractic care and Chicago physical therapist services around. Experiencing pain in the knee can be highly disabling, and if the pain is present for prolonged periods of time it can change the way that you live day to day. Seeking professional treatment for knee pain is one of the best ways to achieve a faster, safer, and more effective recovery. Many people choose to see a physical therapist or chiropractor after injuring their knee or to relieve long-term pain from an old sports injury or accident. Both forms of professional treatment can almost always successfully relieve knee pain, but did you know that the treatment methods can actually work brilliantly in conjunction with each other? Whilst different treatment methods are used, the purpose of both physical therapy and chiropractic care is to reduce the amount of pain that a person feels after an injury and provide rehabilitation after an accident. The two treatment methods combined can have great results in cases of minor and severe knee pain. There are many reasons why physical therapy and chiropractic treatment are great options for knee pain, starting with the benefit of customized treatment plans. 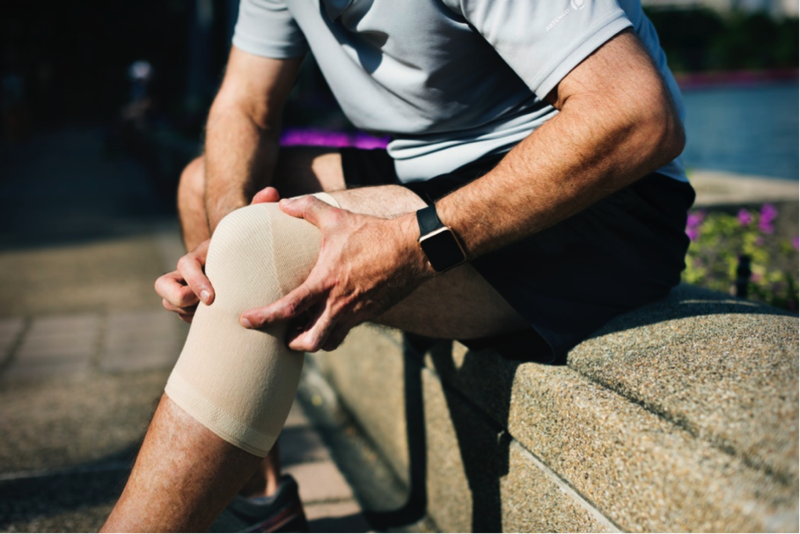 Knee pain can differ greatly, depending on what kind of accident or sports injury was the cause of the pain, where the injury is located, and the age and health of the patient. When you visit a chiropractic care center or physical therapy center for your knee pain, the treatment that’ll be provided is highly customized to your exact injury. You’ll be provided with a personalized treatment plan which is based on the condition of your knee, what is required to regain a full range of movement, and what will help to relieve the pain in the quickest and safest way possible. In many cases, both chiropractic care and physical therapy can be alternative treatment methods to surgery. By relieving pain and strengthening joints, surgery can be prevented after some accidents through a customized treatment plan. Even in an event where surgery is required to heal your knee, physical therapy and chiropractic care will ensure that you are stronger and healthier before having surgical treatment. Both treatment methods can also be used after surgery to help with a faster and more effective recovery. A chiropractor is an expert in the nervous system and the musculoskeletal system, they provide hands-on mobilization and manipulation treatment that can get to the root cause of a knee injury, or any other injury to the joints in the body. A physical therapist is an expert in rehabilitation using diagnosis, evaluation, and treatment to return movement, motion, and strength to injured parts of the body. Physical therapy treatment is designed to restore previous function and improve wellbeing. Arranging for a joint treatment plan between a chiropractor and a physical therapist will offer you the best of both highly specialized treatment types – enabling you to treat your injury with twice the expertise. The manual techniques and exercises that are used by chiropractors and physical therapists can relieve or completely irradiate knee pain. Each specialist uses a range of techniques that are either designed to focus on the source of the pain or restore movement and motion to injured joints after a sports injury or accident. Chiropractors commonly use techniques like massage, manipulation, and inflammation reduction to treat knee pain, whilst physical therapists use techniques like specially designed exercises, stretches, and electric stimulation. After a sports injury or accident, rehabilitation is essential to be able return to normal day to day activities and continue playing sports. Chiropractic care and physical therapy help to prevent further injuries from occurring, either due to proper treatment of the first injury or by focusing on the heath and ongoing wellbeing of the patient. Chiropractors can provide counselling on wellbeing and exercises that help with the root cause of pain, improving overall health and function of the body. Physical therapy exercises can strength muscles, improve balance, and increase motion, which help to lower the risk of a further injury from occurring. One of the best reasons to consult a physical therapist and chiropractor after a sports injury or accident is because the treatment provided will consider both the symptoms of the injury and the root cause of the pain that you’re feeling in your knee or other parts of your body. The combination of both styles of effective treatment techniques will give you a strong chance of achieving a safe recovery that strengthens more than just the injury in your knee. Both areas of expertise can treat all manner of problems, not just knee pain. You can seek treatment for pain in any of the joints in your body and get advice on relief from the pain caused by diseases or headaches. 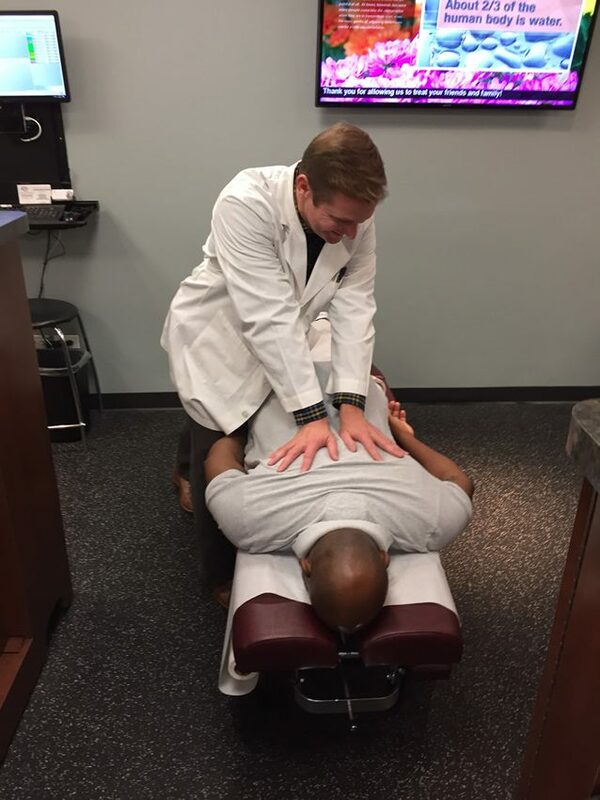 If you’ve recently had a sports injury in Chicago or you’ve been suffering from the pain of an old accident for a long time, then arranging for a appointment with a licensed physical therapist and chiropractor in Chicago is one of the best steps to take to alleviate the pain and start on the road towards a healthier recovery. With its bold architecture, exciting events and stunning views of Lake Michigan, Chicago is one of the most exciting cities in which to spend your summer. Chicago is packed with activities to enjoy during the summer months. With the season comes sunshine – and lots of it. It gets hot – sometimes too hot to get outside and comfortably exercise. At the very height of summer it’s important to stay hydrated, stay in the shade and wear sunscreen, but there are plenty of ways to stay active without overheating or risking your health. With warmer weather just around the corner, we’ve compiled a list of 7 awesome ways to stay active in Chicago this summer. 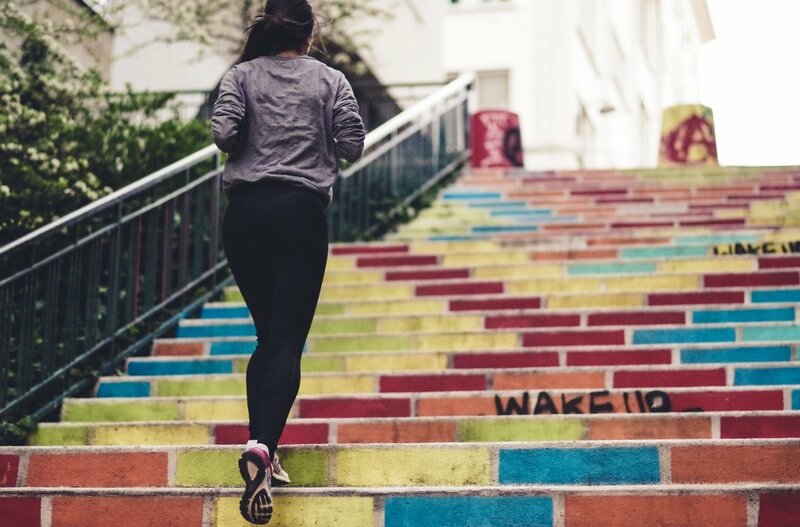 Whether you’re a fitness fanatic or simply love the fresh air, these are the best ways to be active in this iconic city at summertime. Swimming is a great activity for when the weather’s hot. Cool off and take a dip in one of Chicago’s many swimming pools or outdoor swimming areas. For those looking to experience swimming in a natural setting, all you need to do is head eastwards. Chicago is of course built on the shores of one of the world’s biggest freshwater lakes; and with so many different beach entry points, Lake Michigan is one of the easiest places to enjoy a cooling swim in the summertime. Oak Street beach, Ohio Street beach, and Harold Hall Quarry beach are all lovely and are monitored by lifeguards, making them great for families. You can enjoy a calming swim right alongside the city walls, then dry off and head straight into town for a well-earned drink. For those who prefer to swim in a pool, Chicago has plenty of indoor and outdoor pools to choose from. Practice your lengths at Chicago Park District pool or head to the Olympic-sized pool at Washington Park to get in your mileage. When it gets really hot, it can be exhausting to be out in the sun and exercising. Chicago has plenty of indoor sports clubs where you can enjoy all kinds of activities in their dedicated (and air conditioned!) studios. Join Chicago Sport and Social Club, where you can enjoy a range of sports all year round, including softball, basketball, in-door volleyball and floor hockey. Combining high caliber sports leagues with great social events, Chicago Sport and Social Club is a fantastic place to stay active and have fun during a Chicago summer, and throughout the rest of the year. Eternally popular with people of all ages, yoga and pilates classes can be found everywhere in Chicago. Both activities are great ways to get fit: they help build core strength, improve flexibility and reduce stress, and can be done outside or inside during the summer months. 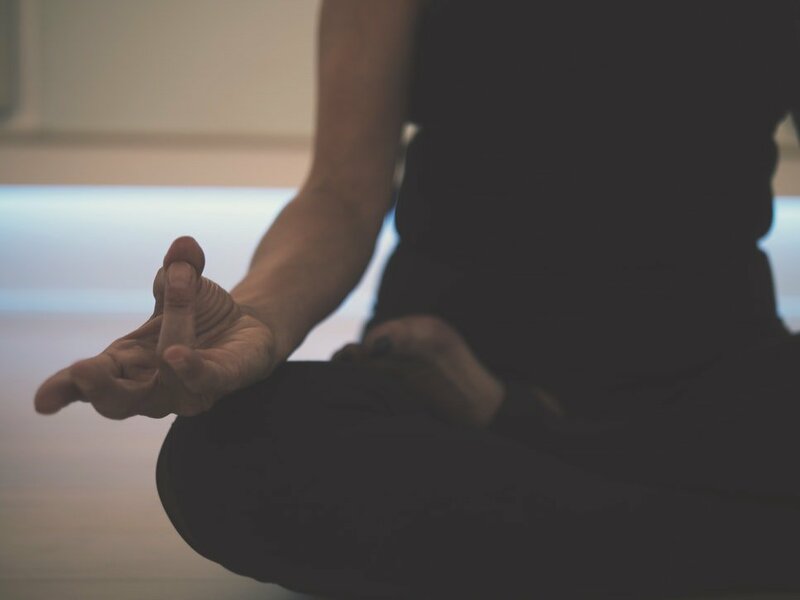 Choose from one of the many high quality yoga and pilates studios including: Amplified PIlates Center, Pilates ProWorks, CorePower Yoga and (last but not least) Yoga Six Lincoln Park. Yoga Six has both indoor and outdoor classes. In the summer though, there’s nothing like the feeling of the sun on your face and the fresh breeze of Lincoln Park while you work out, complete with iconic views of the Chicago skyline. This studio is dedicated to helping you achieve balance and streamline your fitness – the perfect place to get active during summer in the Windy City. There are few things more lovely than a walk around the streets of Chicago on a sunny day. Book a tour with Chicago Walking tours and experience everything that this eclectic city has to offer. 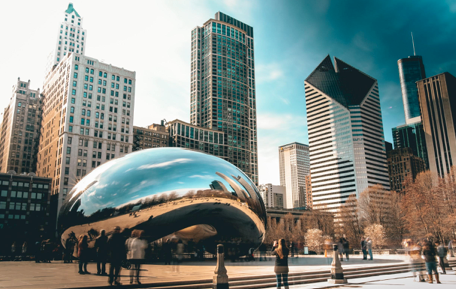 Explore some of the fabulous parks this city has to offer by taking a stroll from Millennium Park to Maggie Daley Park. Amble around the farmers market, visit Lincoln Park and the surrounding area (packed with cafés, bars and a zoo – enough to fill an entire summer day), or explore the long-awaited Riverwalk which takes you along Lake Michigan to Wolf Point, with plenty of beautiful sights to see along the way. Stand-up paddleboarding has taken the world by storm. It’s fun, playful and great exercise to enjoy out on the water. What better place to stay active and soak up some sunshine than on Lake Michigan? Head to its breezy shores to book a day out at one of its dedicated paddleboarding clubs. 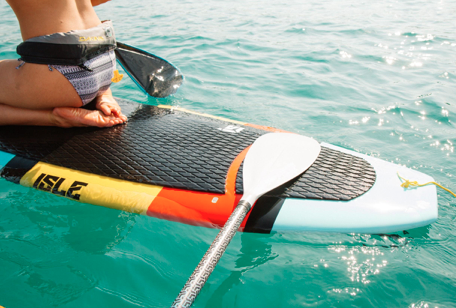 Chicago Paddle Company offer training days and sessions for kids, adults, seniors and where experienced paddleboarders can rent their own boards on an hourly basis. For those looking for a more contemporary atmosphere, head to Chicago SUP in downtown, where you can rent boards and get lessons, as well as join excursions around the lake or book party boats for you and your friends. Chicago is regarded as one of the best US cities for cycling. Since the dawn of the bicycle in the 19th century, Chicago has been home to dozens of cycling clubs, and was originally one of the key distributor hubs for bikes and cycling equipment for the whole of the United States. Nowadays, keen cyclists can enjoy the many parks and trails designed specifically for bikes. Explore Burnham Park, Grant Park and the Lakefront Trail this summer. There are literally hundreds of places where you can rent and buy bikes, including Village Cycle Center, Cycle Smithy and Edgebrook Cycle, or take a cycling tour and experience what is arguably the best way to view this iconic city. There’s so much going on in the city that sometimes it’s nice to just chill out at home. Stay active at home by engaging in some vigorous housework, gardening or check out some online fitness videos to keep yourself toned and active during the summer months – without risking the sunburn! Summer in Chicago is a wonderful time to enjoy everything this diverse city has to offer. During the warmer months, the temperature often rises into the 90s and the sun can be very strong. If you’re out and about during the summertime, it’s important to take certain precautions to keep yourself safe from heat and sun-related risks. Walk in the mornings and evenings – the sun is strongest during the middle of the day. These are also some of the most beautiful times to see the city when it’s less busy. Wear sunscreen – protect your skin from scorching summer sun by regularly applying sunscreen. Wear sunglasses and a sunhat – keep your eyes and head cool to avoid heatstroke. Stay hydrated – very important! Drink plenty of water and carry water with you when you’re out and about during the summer months. Keep in the shade as much as possible – avoid standing in the sun for too long. Chicago is full of gorgeous parks, so why not have a picnic in the cool green shade of a tree? The birthplace of so many innovators and artists, Chicago never disappoints when it comes to entertaining its visitors and its locals; whichever of these you are, we hope you have a lovely summer in this special city. Stay safe and enjoy this unique city in all its sunny glory. Whether we’re star athletes, weekend warriors, or casual intramural dabblers, injuries hold no prejudice when they strike their victims. So often, we nonchalantly shrug off these injuries, barely even reaching for a bag of ice before we’re back out on the track or in the gym. Meanwhile, your body is weeping on the inside, hoping that you’ll get the idea and rest, repair, or even visit a doctor or physical therapist. But which injuries are serious enough to demand some time on the bench? That’s where we come in. Tendinitis is defined by an inflammation or irritation of the tendons, the thick cords that connect our muscles to our bones. Now, even if you’ve never heard of tendinitis, you’ve probably heard of (or maybe even had) some of its nicknames like “tennis elbow” and “golfer’s elbow”. Tendinitis arises from a multitude of activities: repetitive movements can contribute to the formation of tendinitis, or it can derive from a single, serious injury. Swinging tennis rackets and golf clubs, pitching and throwing, and even gardening or painting can all cause tendinitis. Popular locations for tendinitis include the hips, shoulders, knees, and elbows. Other factors can influence tendinitis, including gout and rheumatoid arthritis. If you’re experiencing significant pain at the tendon and any surrounding joints, you may have tendonitis. After stopping the activity, there are two routes available depending on the severity. For mild cases, rest the affected area and break out the ice packs to help manage pain and inflammation. Raid the medicine cabinet for anti-inflammatory drugs like aspirin and ibuprofen. Keep yourself on the sidelines until the pain resides and range of motion returns comfortably. However, if treating your case of tendinitis still feels beyond your capabilities, you should set an appointment with a doctor or physical therapist. 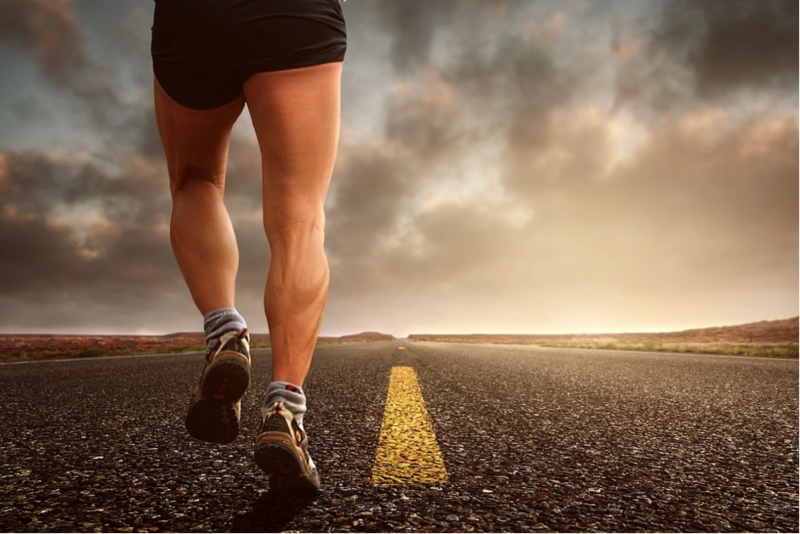 Patellofemoral pain syndrome (PFPS), or “runner’s knee,” is the irritation of the cartilage on the underside of the patella (kneecap), with pain ranging from mild to severe. Often described as the most common running injury, you’ll feel a dull pain beneath the top of the kneecap that begins mildly and intensifies during a running session. Sufferers of PFPS will feel pain during regular running/training, but especially as they are descending (stairs/downhill) and performing complex knee movements like squatting. Rest and treatment are essential to making sure no additional damage is being done. The resulting pain from runner’s knee can last for weeks or months at a time and it’s important to begin working on the problem early to reduce chances of doing further damage. Ceasing running activities doesn’t necessarily mean that you’ll be unable to train, though. If continuing your regimen is important, do exercises that have little impact on knees: swimming, aqua jogging, and the elliptical machine are good ideas. In worst case scenarios, when your own attempts to improve PFPS yield poor results, a trip to your physical therapist and a gait analysis may be necessary. Shin splints is another aggravating injury that plagues athletes everywhere. Identified by a pain that occurs at the front side of the shin bone, shin splints arise from any number of culprits: frequent stopping and starting, flat feet, extended periods of repetitive motions, or constant pounding of the feet as with jogging or treadmill walking. Together, these activities cause stress fractures in the bone and muscle, weaken stabilizing muscles, and create swollen muscles. When you feel this aching or throbbing in the shins, you should hang it up before you make the situation worse. Rest so your shins have adequate time to heal. Icing will help to reduce swelling and ease the pain. Begin taking anti-inflammatory drugs. And look for a new pair of sneakers that better support your feet. To get to the source and develop a program that will prevent shin splints from blowing the whistle on your workout, work with a physical therapist to pinpoint issues with posture and form that can contribute to the development of shin splints. They can also prescribe specific exercises, stretches, and movements to aid recovery and prevent future instances. What exactly does it mean to “pull” a muscle? Generally, we use the terms “pulled” and “strained” interchangeably; but they both actually refer to the act of tearing. When we pull our muscles, we tear them. These tears can range from minor to truly traumatic and can produce intense pain that requires serious treatment. Launching toward the rim for a dunk, jerking to block a slapshot, pushing yourself to cross the finish line tape—all can lead to a muscle pull. A pulled muscle is unique in the sudden, odd, or sharp pain it produces after a movement. You know that something strange just happened, something your body doesn’t quite like. As a result, the muscle that has suffered the strain feels weaker. You feel pain when contracting the muscle in both directions. You see swelling, soreness, or redness in the affected area. Symptoms can last from just a few days to weeks and range greatly in levels of discomfort. The worst muscle strains and pulls can put you out of commission for months and require a doctor, physical therapist, or even surgery followed by a serious rehab program. Treatment varies widely based on the severity of the tear, which muscle was injured, and the resulting pain. The bigger the muscle and the deeper the tear, the longer you’re going to be on the sideline. The most important tactics for treatment include rest, ice, elevation, and compression. These practices will help reduce the pain and allow the muscle fibers to repair. Trying to exercise through the pain may make you feel like The Hulk, but we would advise against that. After a few days of rest, test the muscle: try moving through a normal range of motion. Improvements in motion and a reduction in pain are a great sign. However, if you see no improvements and the pain continues, it’s time to check in with a doctor or sports therapist. Injuries happen. And we understand—you want to continue your training regimen. You figure that because you can still move and you’re not on crutches then it’s ok to keep going at it. As you can see, we beg to differ. When you’re the unfortunate recipient of a training related injury, do your body a favor and put yourself on the sidelines. Figure out what’s happened, then begin the process of restoring your health, whether that involves a few simple treatments and adjustments to your regimen or the assistance of a professional. 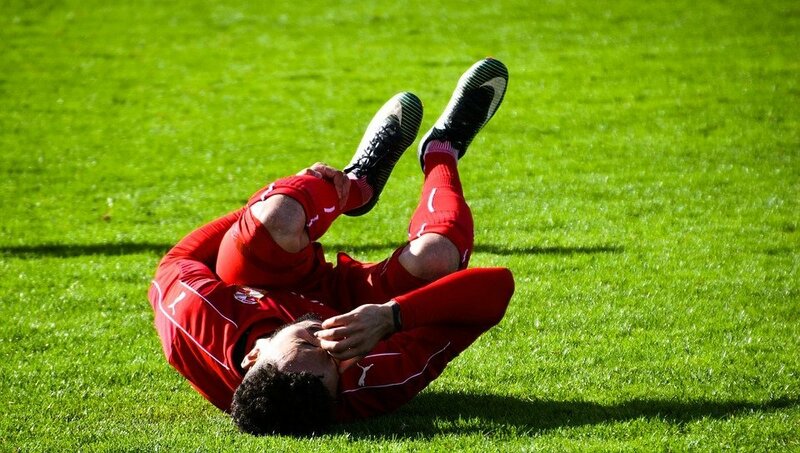 If you do go the professional route, Advanced Spine & Sports Care would love to help get you back in the game!